Home ♦ Featured ♦ DUI Stupidity: The Raccoon Made Me Crash! 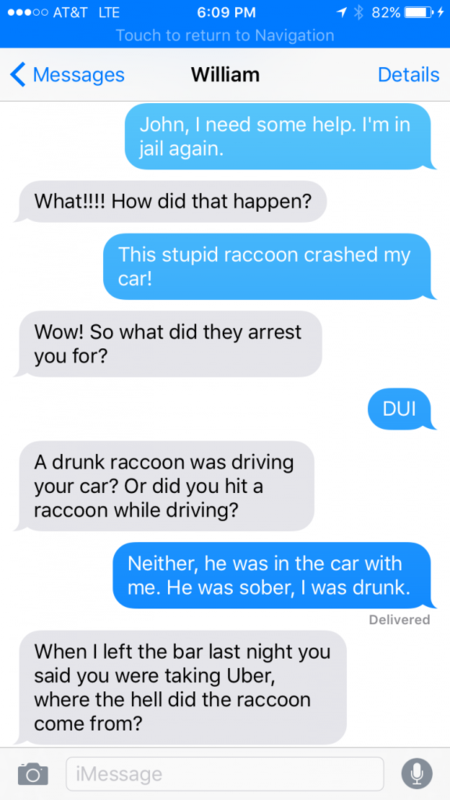 DUI Stupidity: The Raccoon Made Me Crash! When I first saw this story I was sure it was fake. 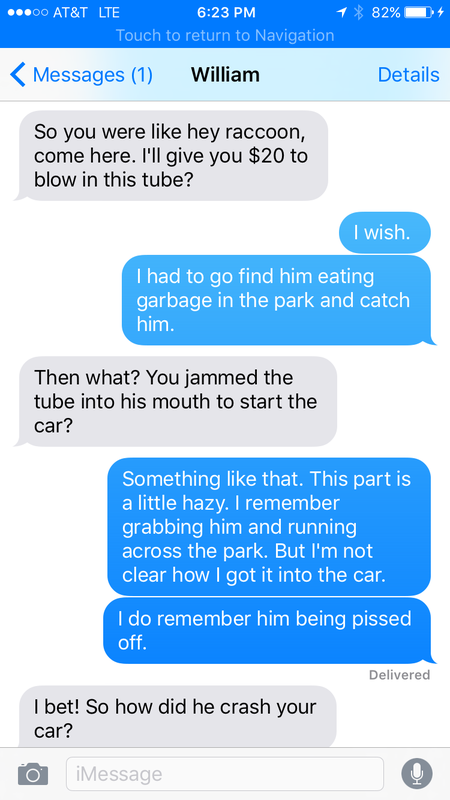 It’s so ridiculous that it’s not possible for the story to be real. You wouldn’t even see this in a bad Seth Rogen movie. 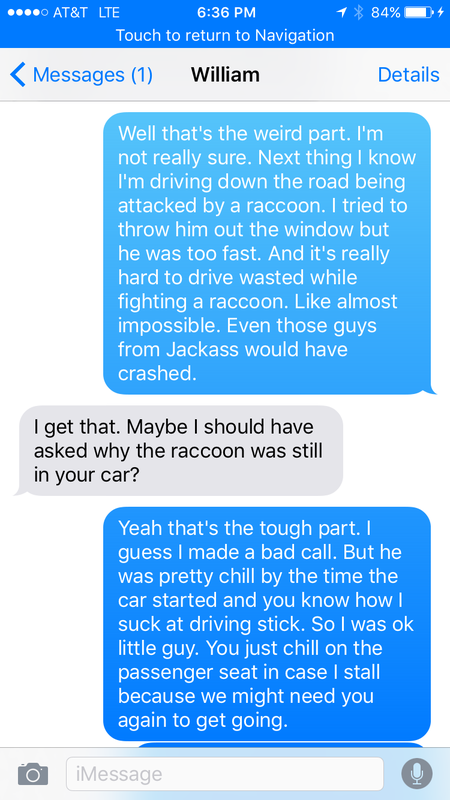 I first thought the driver swerved to avoid the Raccoon but no, it’ way more random than that. The Raccoon was in the car with the guy when he crashed. 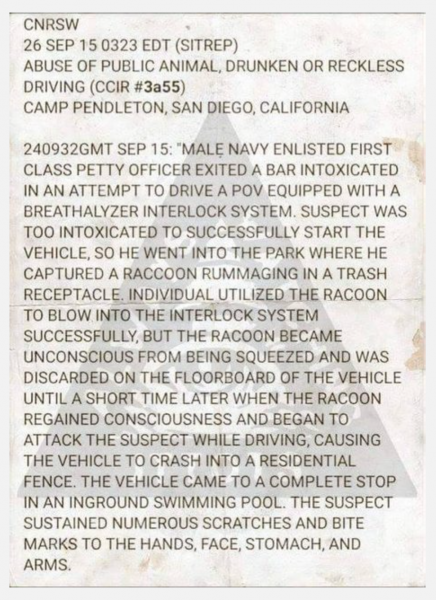 Ok so what’s the raccoon doing in the car while the guy crashes and gets a DUI? This is the police report that’s been making the rounds. 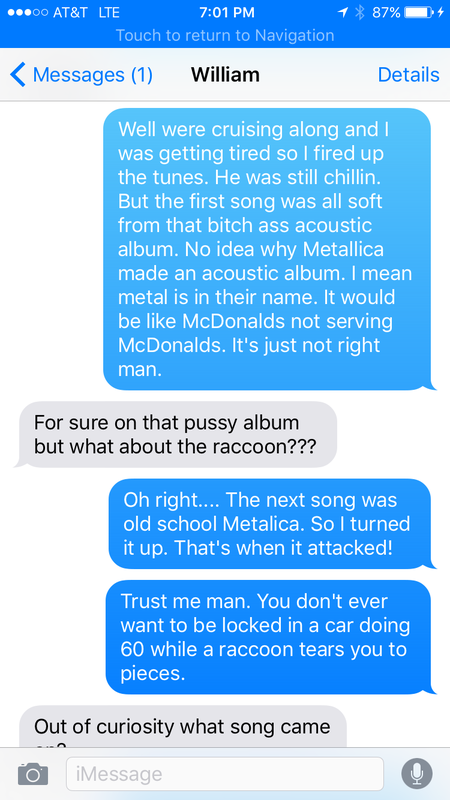 Well it turns out the story really is fake. But could you imagine if it were real? 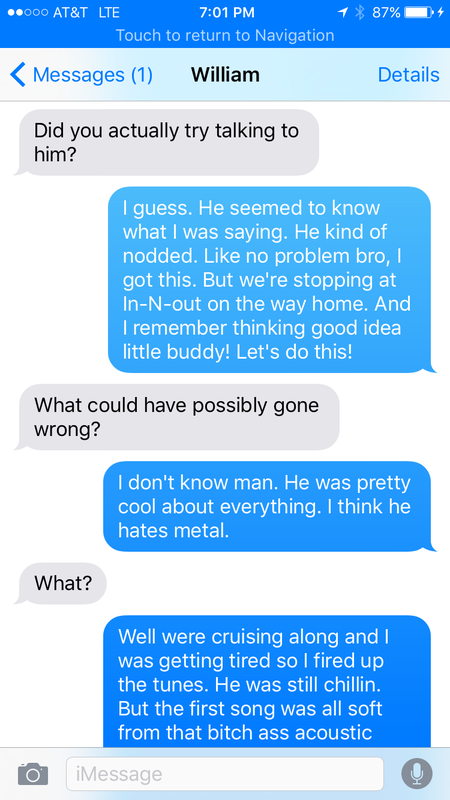 What would his text messages to his good friend look like? 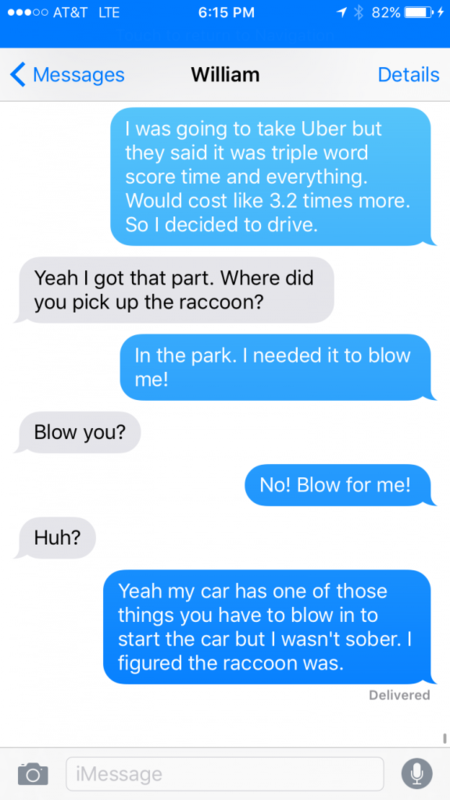 Probably something like this! I’m glad no one got hurt and that the story is fake after all, but wow is it a fun one. 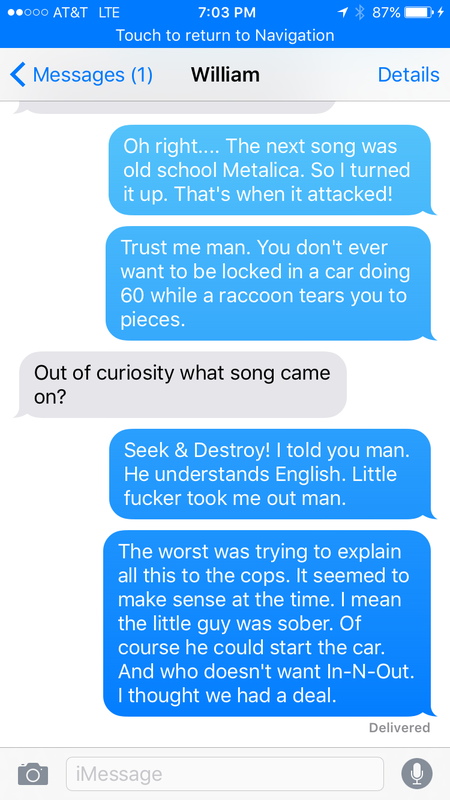 Nothing about the Imager police report sounds or look reals but could you imagine getting this story from your friend through text messages? I can! Toyota Returns to Desert Racing with BJ Baldwin!